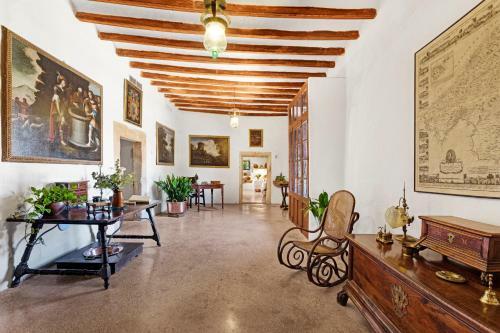 Torrent Fals in Santa Maria Del Camí is a country house with 8 Rooms. 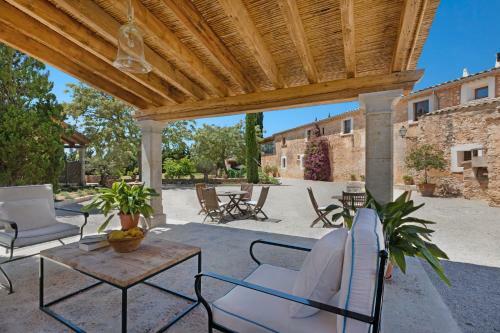 This charming 15th-century farmhouse is located in the Mallorcan countryside, just outside Santa María del Camí. 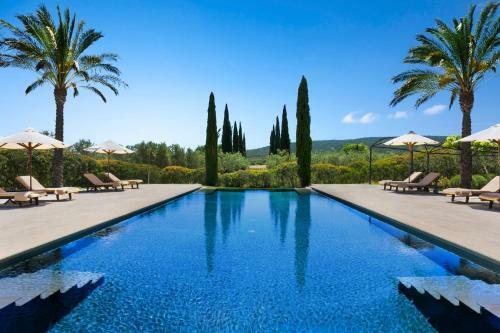 It offers an outdoor pool and attractive, country-style rooms with a marble bathroom. 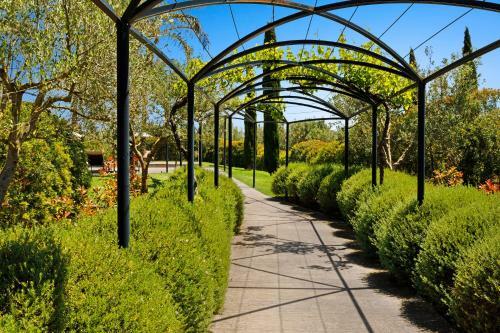 The air-conditioned rooms at Torrent Fals overlook vineyards or the Tramuntana Mountains. Each one has a TV and work desk, and most have a balcony. A continental breakfast is served daily, and in the summer months you can have breakfast outside with mountain views. 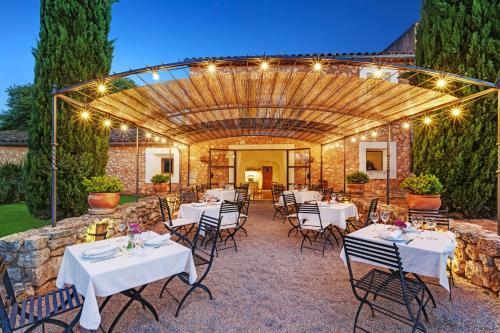 Torrent Fals’ restaurant serves tra...ditional Mallorcan food. There is also a bar where you can get a snack or a drink. 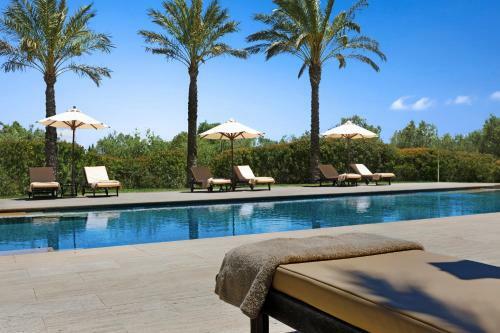 Palma Airport is just 20 minutes’ drive from Torrent Fals. You can drive to S’Albufera Nature Reserve in around 30 minutes. 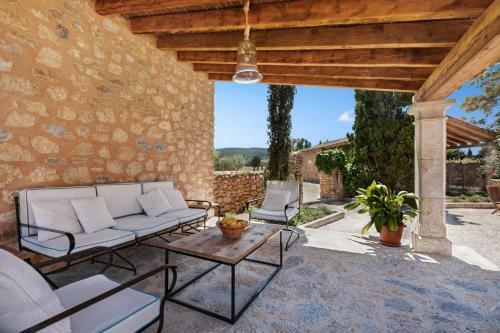 This charming 15th-century farmhouse is located in the Mallorcan countryside, just outside Santa María del Camí. 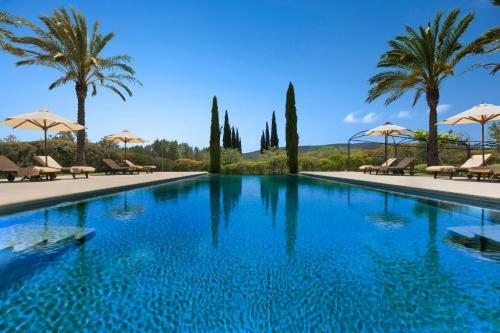 It offers an outdoor pool and attract...ive, country-style rooms with a marble bathroom. 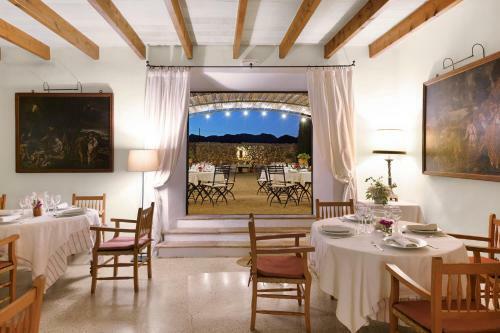 The air-conditioned rooms at Torrent Fals overlook vineyards or the Tramuntana Mountains. Each one has a TV and work desk, and most have a balcony. 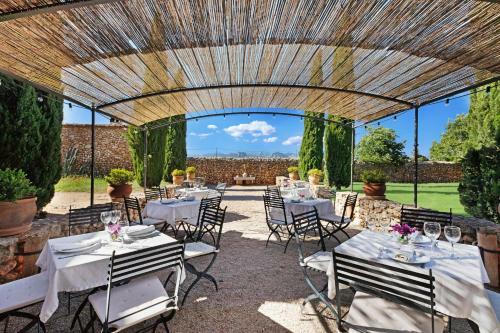 A continental breakfast is served daily, and in the summer months you can have breakfast outside with mountain views. 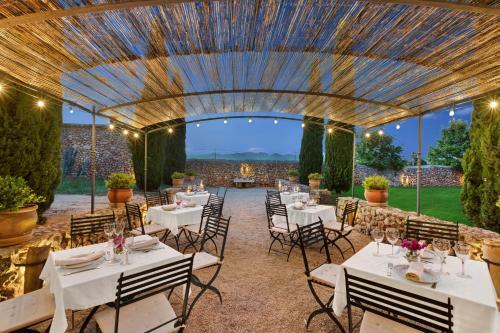 Torrent Fals’ restaurant serves traditional Mallorcan food. There is also a bar where you can get a snack or a drink. 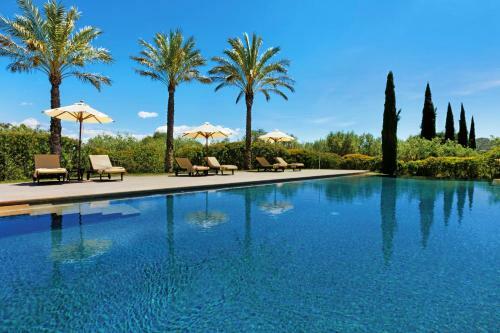 Palma Airport is just 20 minutes’ drive from Torrent Fals. You can drive to S’Albufera Nature Reserve in around 30 minutes. 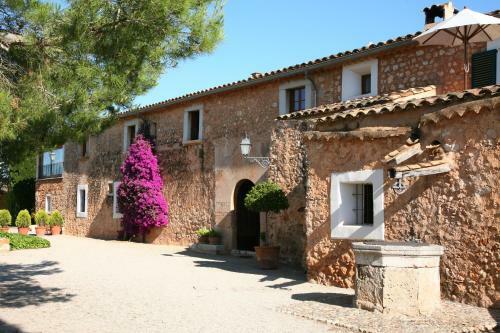 When would you like to stay at Torrent Fals? Children and extra beds One child under 3 years stays free of charge when using existing beds. One child under 2 years stays free of charge in a child's cot/crib. One older child or adult is charged EUR 55 per person per night in an extra bed. The maximum number of extra beds in a room is 1. The maximum number of children's cots/cribs in a room is 1. Supplements are not calculated automatically in the total costs and will have to be paid for separately when checking out. Any type of extra bed or child's cot/crib is upon request and needs to be confirmed by the innkeeper. Accepted credit cardsVisa, Maestro. The accommodation reserves the right to pre-authorise credit cards prior to arrival. Please let the property know your arrival time in advance. You can use the Special Requests box when booking or contact the property.